Constructed in similar fashion to an actual shipping pallet, this piece is assembled using natural pine slats. Weathered distressing and design, paired with an inspirational sentiment creates a piece that is simple yet refined. Includes sawtooth hangers for wall application. 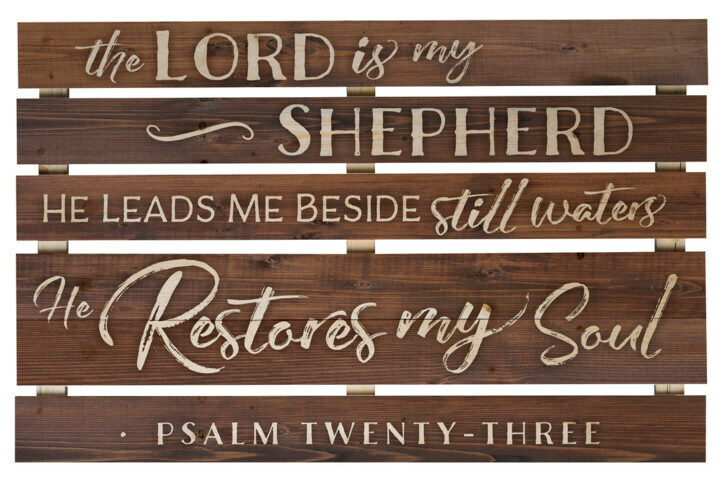 Special delivery skid sign wall art includes inspirational quote which reads, The Lord is my shepherd, He leads me beside still waters. He restores my soul. Psalm Twenty-Three.